The Jewish society of Koenigsberg was very interesting and varied. 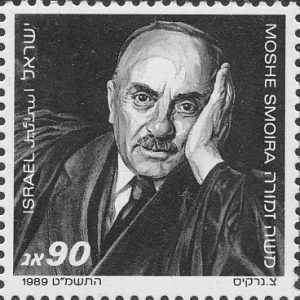 Haim Arlosoroff (b 1899 in Romny, d. 1933 in Tel Aviv) was a Zionist leader during the British Manate for Palestine. In 1905 during a pogrom, the family fled to East Prussia and settled in Stallupoenen. Now Haim was called Victor. 1913 the family moved to Königsberg, where Haim attended the Realgymnasium. When the war broke out in 1914, the family Arlosoroff had to move to Berlin. But Victor and his sisters maintained their friendships with schoolmates and friends from Königsberg. 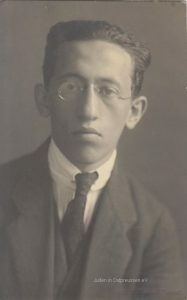 Later Arlosoroff studied economics at the University of Berlin and obtained a doctorate under the supervision of Walter Sombart. As a member of the Zionist Action committe he moved to Palestine in 1924. Walter Adamson (born 1911 in Königsberg, died 2010 in Melbourne) studied in his hometown and emigrated 1938 to Rome and 1939 to Australia. From 1969 he worked as a writer. His poems and stories have been published in Germany, Australia, USA and England. In Königsberg he was friends with the sports teacher Hans Weinberg. 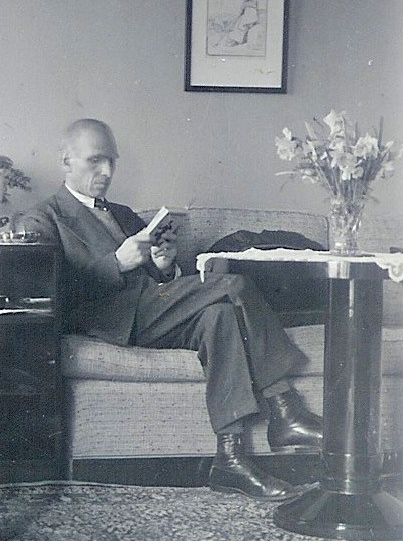 The photo was taken in 1936 in Weinberg’s apartment. 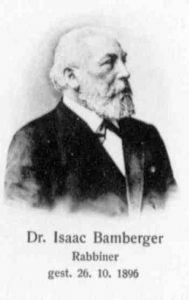 Isaac Bamberger (b.1834 in Angenrod, d. 1896 in Koenigsberg) was a rabbi. He studied philosophy and philology at the University of Giessen. After having graduated as Ph.D. in 1861, he went to the Breslau Jewish Theological Seminary.He was graduated as rabbi in 1861, and in 1865 he was called to Koenigsberg as rabbi of the Reform congregation to succeed the late Rabbi Saalschütz. He held this position until his death. He was very involved in the erection of the new synagogue. 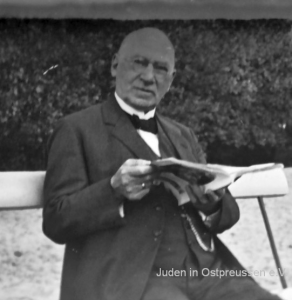 He was one of the founders of the “Deutsch-Israelitischer Gemeindebund” (Union of German Congregations); and of the “Deutscher Rabbiner-Verein” (Union of German Rabbis). 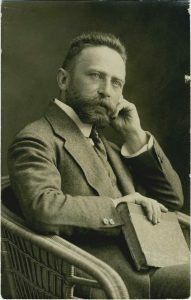 Eduard Birnbaum (born 1855 in Krakow, died 1920 in Königsberg) was cantor, composer, choral conductor and one of the first explorers of Jewish music. 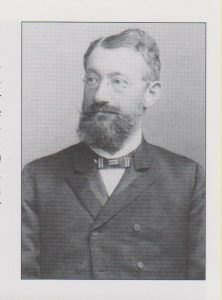 After studying singing with Salomon Sulzer in Vienna, he was appointed principal cantor at the Königsberg Synagogue in 1879, where he worked very successfully until his death. His extensive collection of Jewish music can be found today as the Birnbaum Collection at Hebrew Union College in Cincinnati. Max Brode (b.1850 in Berlin, d. 1917 in Koenigsberg) was a violinist and conductor. He received his education in Leipzig and in Berlin at the Stern’sche Konservatorium. 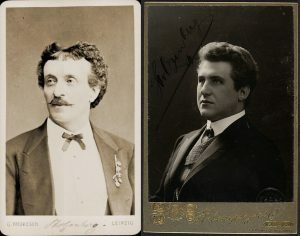 1876 Brode became concert master at the Königsberg Opera. He startet to organize classical concerts and staged successfully, inter alia, Brahms four symphonies and Beethoven’s 9th Symphony. Brode was appointed in 1888 as academic teacher of music history and theory at the University of Koenigsberg. He headed a string quartet, the Brode Quartet, with whom he had performed more than two decades. He coined the musical life of the city. Among his famous pupils were Louise Magnus, the future wife of Erich Mendelsohn and the later composer Werner Heymann. 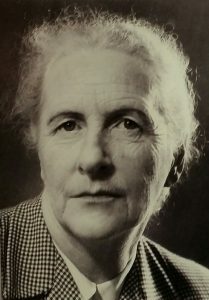 Frieda Fromm-Reichmannnee Reichmann (b. 1889 in Karlsruhe, d. 1957 in Rockville, Maryland) was a famous psychiatrist. The family moved to Königsberg ab. 1898, where her father worked in the Norddeutsche Creditanstalt. Frieda entered the Albertina in 1908. She was one of the first women to study medicine. She received her medical degree in 1913 and began a residency in neurology studying brain injuries with Kurt Goldstein, a neurologist and psychiatrist. 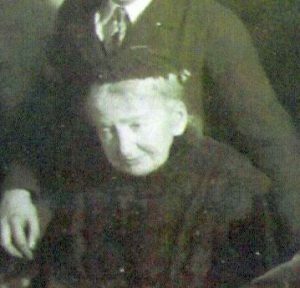 During World War I she worked in a clinic for brain-injured German soldiers in Königsberg. She worked under Kurt Goldstein, who was her most influential teacher and mentor. Later she established a private psychoanalytic sanitarium in Heidelberg in 1924. In 1926, she married the social philosopher Erich Fromm. Together they helped found the Frankfurt chapter of the German Psychoanalytic Society. After the Nazi takeover in 1933, Fromm-Reichmann left Germany. She immigrated to the United States in 1935 where she successful teached and worked. 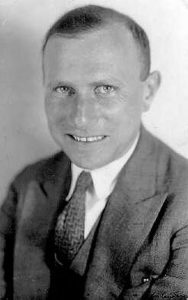 Walter Heymann (b. 1882 in Koenigsberg, d. 1915 near Soissons) was a jurist and writer. He became known with poems about the Curonian spit and articles about the German expressionists and died at the front in France. His book about the artist Max Pechstein as well as several novels were published after his death. He was an older brother of the composer Werner Richard Heymann. Arnold Hulisch became the urban planner in Koenigsberg in 1864. He was the first Jews in such position in Prussia. He made the project for the Walter-Simon-place. He is the grandfather of the violonist and author Michael Wieck. 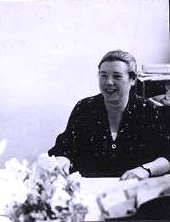 Lucia Jacoby (b. 1889 in Koenigsberg, deported 1942) was first the secretary of the publication “Im Deutschen Reich”, the monthly journal of the Centralverein deutscher Staatsbürger jüdischen Glaubens (Central Association of German Citizens of Jewish Faith, Central Verein, CV) and from 1923 the head of the publishing house “Philo-Verlag” in Berlin. This German-Jewish publishing house founded in Berlin as the publishing arm of the CV existed until 1938. Max Jaffé (b.1841 in Grünberg/Silesia [today: Zielona Gora /Poland], d.1911 in Berlin) was a distinguished 19th-century biochemist, pathologist, pharmacologist, and professor. He studied medicine in Berlin, earned his degree in internal medicine, served in the Franco-Prussian War and was decorated with the Iron Cross Second Class. in 1873 he became the first Ordinary Professor of Pharmacology at the University of Königsberg. 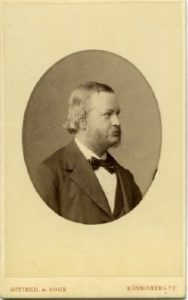 He was promoted to director of the Laboratory for Medical Chemistry and Experimental Pharmacology in 1878 and became a member of the Deutsche Akademie der Naturforscher Leopoldina in 1882. He is known for Jaffe reaction of creatinine andpicric acid—the oldest clinical methodology still in use. His Laboratory was placed in Coppernicus St. 3-4. 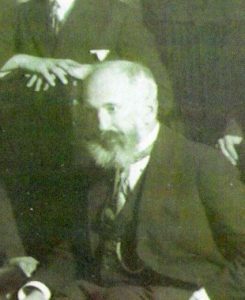 Shmariahu Levin (b 1867 in Svislach Mins Governorate, d. 1935 Haifa), was a Zionist activist in Russian Empire and in the United States before he settled in Palestine in 1924. He studied in Koenigsberg and defended here his Ph.D. in 1894. Immediately after the defense he married his fiancé Hellena Konheim in Cranz on the Curonian spit. He was elected to the 1906 First Duma in Russia. It would be a nice idea to name a street in Kaliningrad after him. Schüler-Springorum, Stefanie. “A Soft Hero: Male Jewish Identity in Imperial Germany through the Autobiography of Aron Liebeck.” Jewish Masculinities: German Jews, Gender, and History (2012): 90-113. 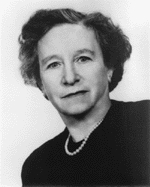 Gerda Luftnee Goldberg (b. 1898 in Koenigsberg, d. 1986 in Tel Aviv) was a famous journalist. After World War I she started to study in Berlin. She moved to Palestine in 1924 and started to work for local and European Newspaper. She published also books in Hebrew and German. One title tells the story of the Jewish emigration to Palestine 1933-1939. The other book contains her biography. 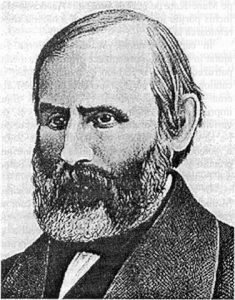 Abraham Mapu (b.1808 in Vilijampole [today part of Kaunas/Lithuania], d. 1867 in Koenigsberg) was a novelist in Hebrew of the Haskalah (“enlightenment”) movement.. For many years he was an impoverished, itinerant schoolmaster. 1848 he published his first historical novel, Ahavat Zion. This is considered the first Hebrew novel. He published tree more novels and some textbooks. 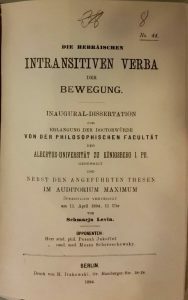 In 1867 he moved to Koenigsberg due to illness, published his last book, Amon Pedagogue, died there and was buried there too. The romantic-nationalistic ideas in his novels later inspired the Zinoist movement. Today exists a Mapu street in Kaunas and one in Tel Aviv. Martin Meyerowitz (b.1869 in Koenigsberg, d. 1942 in Flossenbuerg) was a lawyer in Koenigsberg since 1896. In 1915 he became Judicial Council. 1929 he was appointed as a lawyer at the Supreme Court In Leipzig and moved with his family in the same year to this town. 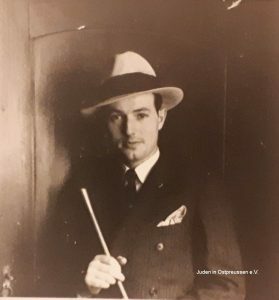 Due to the NS laws he lost his authorizations as a lawyer in 1938, but continued his work as a so called “Jewish Councel”. On April 03 1942 Meyerowitz was arrested. June 10 1942 he was deported to the Flossenburg concentration camp, where he died after a short time. Picture: Bundesarchiv Berlin, R 3002 Pers. 609. Thanks to Hubert Lang (www.HubertLang.de). 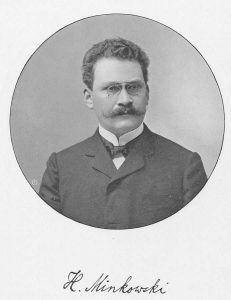 Hermann Minkowski (b.1864 in Aleksotas [today part of Kaunas/Lithuania], d. 1909 in Goettingen) was a mathematician and physicist. 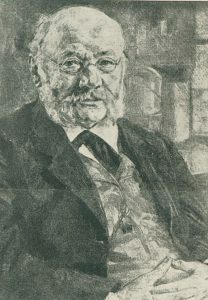 His family moved to Koenigsberg in 1872, where his father operated his firm Lewin Minkowski & Son with his eldest son Max.Minkowski studied in Koenigsberg and taught later in Bonn, Koenigsberg (1894–1896), Zuerich (1896–1902), and finally in Goettingen from 1902 until his early death 1909.In 1883, while still a student at Königsberg, he was awarded the Mathematics Prize of the French Academy of Sciences for his manuscript on the theory of quadratic forms. He was a gifted mathematician and became very famous.In mathematical physics. Minkowski space is a combination of Euclidean space and time into a four-dimensional manifold. Picture: Wikipedia. Felix Perles (b.1874 in Munich, d. 1933 in Koenigsberg) was a rabbi and teacherin Koenigsberg since 1899. He received his degree of Ph.D. in 1895 and continued his academic career at the Albertina in Koenigsberg where he was appointed as professor. He published very rich on several topics, mainly about Hebrew language and the bible. Louis Saalschütz (b. 1835 in Koenigsberg, d. 1913 in Koenigsberg) was a mathematician.He was the son of the Koenigsberg rabbi Joseph Levin Saalschütz. He studied mathematics and physics at the Albertina and earned his PhD in 1861. Later he taught mechanics and engineering at the trade school (Gewerbeschule). In 1875 he became Assoc. Professor at the Albertina, where he also taught. The Gewerbeschule was in the Schönstraße, in that building is located currently the Cadastral Office. Rabbi Israel Salanter, original Yisroel ben Ze’ev Wolf Lipkin, (b. 1809 in Zagare /Lithuania d. 1883 Koenigsberg) was a famous Talmudist. He taught long years in Kovno, where he established a place, where ethical texts were studied. That was the beginning of the Musar movement. Salanter moved to Memel in 1857. He transferred the Litvakian style of Jewish learning to Memel and later to Koenigsberg too. He travelled through several European countries and supported local Jewish communities. 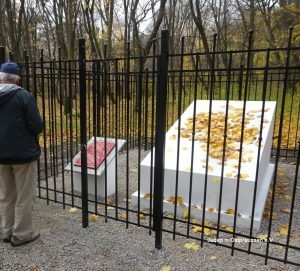 His tombstone is one the old Jewish graveyard in todays Kaliningrad. Samuel Sambursky (b. 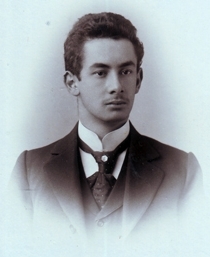 1900 in Koenigsberg, d. 1990 in Jerusalem) was scientist and historian. He studied physics at the Albertina in Koenigsberg before going to Palestine in 1924. Four years later he joined the physics department of the Hebrew University of Jerusalem and became a famous lecturer. In 1957 he became dean of the Hebrew University’s faculty of science. Sambursky was active in UNESCO, serving for some years as vice chairman of Israel’s national committee for the organization. In 1968 he received the Israel Prize for Humanities.His works include Ha-Kosmos shel ha-Yevanim (1954; The Physical World of the Greeks, 1956); Physics of the Stoics (1959); and Physical World of Late Antiquity (1962). A revised edition of these three works appeared in 1965 in one volume under the title Das Physikalische Weltbild der Antike. His younger brother was the composer Daniel Sambursky. 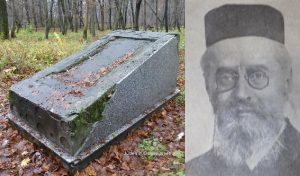 Hermann Vogelstein (b.1870 in Pilsen [today Plzeň], d. 1942 in New York) was a rabbi. His father was Heinemann Vogelstein, rabbi of Stettin. 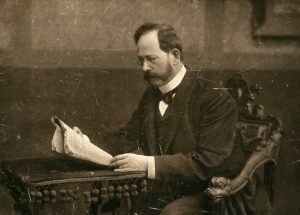 Vogelstein received his education at his native town, the gymnasium at Stettin, and the universities and Jewish theological seminaries at Berlin and Breslau (Ph.D. and rabbi 1894). 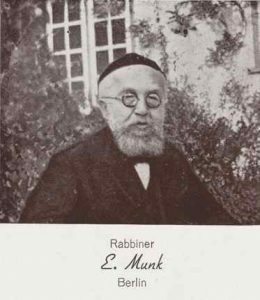 In 1895 he became rabbi in Oppeln, He was rabbi in the Liberal Synagogue in Koenigsberg, Germany, for twenty-three years, from 1897 to 1920 when he assumed the post at Breslau. He left Germany after the Novemberpogrom in 1938 first to Enland and later to the US. 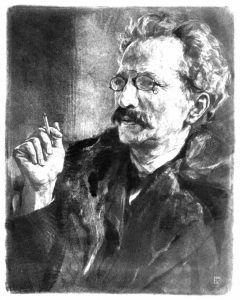 He is the author of “Die Landwirtschaft in Palästina zur Zeit der Mischnah” (Berlin, 1894). He was the leading liberal rabbi in Germany in his time. 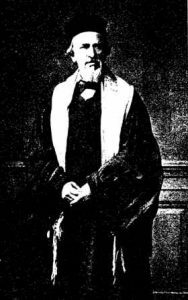 Hirsch Weintraub (b.1817 Dubno, d. 1881 in Koenigsberg) was cantor of the synagogue 1838-1878. The son of the well-known cantor Salomon Kashtan Weintraub studied in Vienna and Berlin. He became famous for his beautiful lyric tenor voice and his many compositions published under the title “Schire Bet Adonai”. Weintraub combined in his music a deep Jewish feeling with European culture. He received the title of “Royal Director” in 1873. After celebrating his 40th anniversary of service in 1878, he went into retirement and chose as his successor Cantor Eduard Birnbaum.